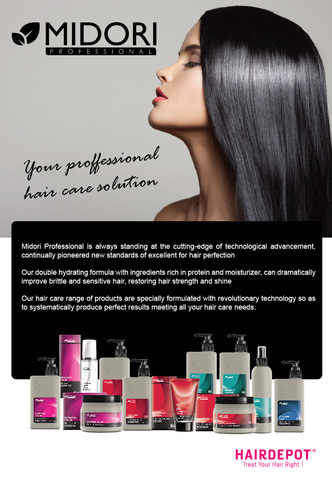 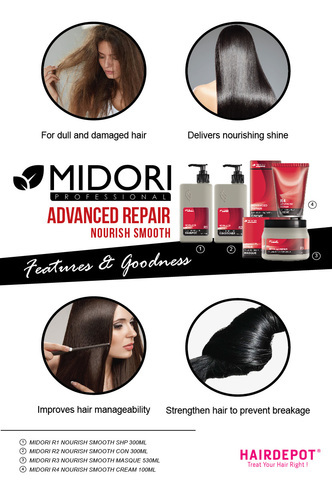 MIDORI R4 NOURISH SMOOTH CREAM 100ML – HAIRDEPOT - Hair & Scalp Care Products, Prevent Hair Loss, Shampoo, Conditioner, Treatment, Styling, Appliances and more! Ultra smoothing leave-in crème, helps defend against damage and reinforce strength, nourishes dry hair, helps retain moisture and shine, detangles, smoothes and tames hair. 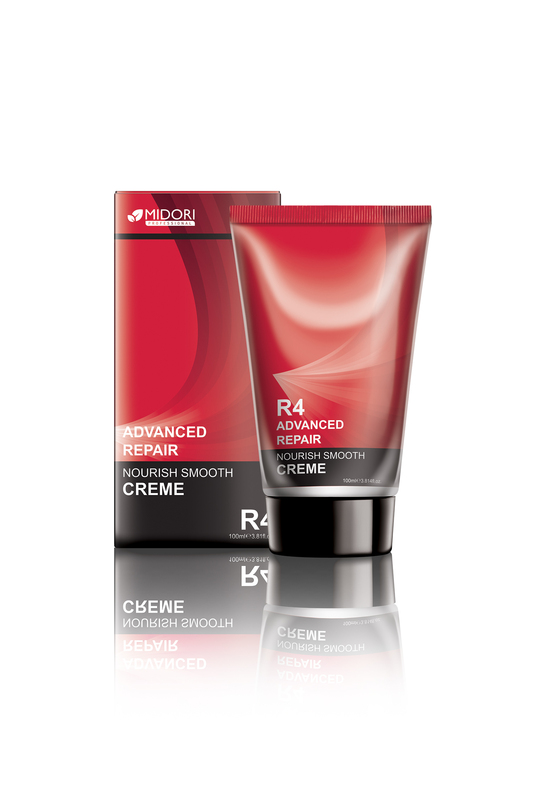 Apply this product to towel-dried hair, concentrating on the ends and blow-dry. If desired, apply another portion on the ends after blow drying.